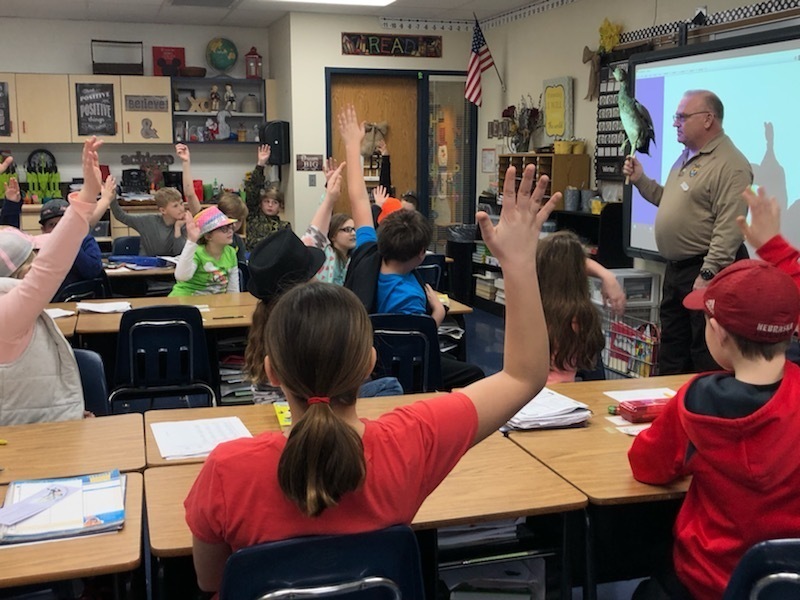 Park Ranger Bob Dietrich from Tow Rivers Wildlife Refuge visited the Fourth grade classroom at Grafton Elementary. 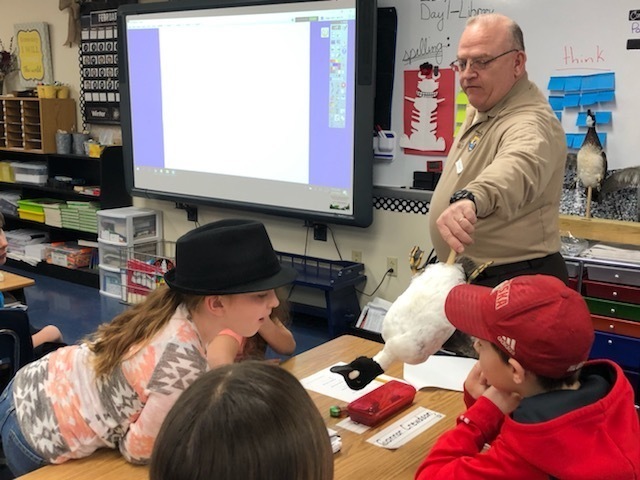 He talked about the refuge and the different kinds of ducks we have in our area. He brought in some of them to show the class and explained to them the different habits that they have. 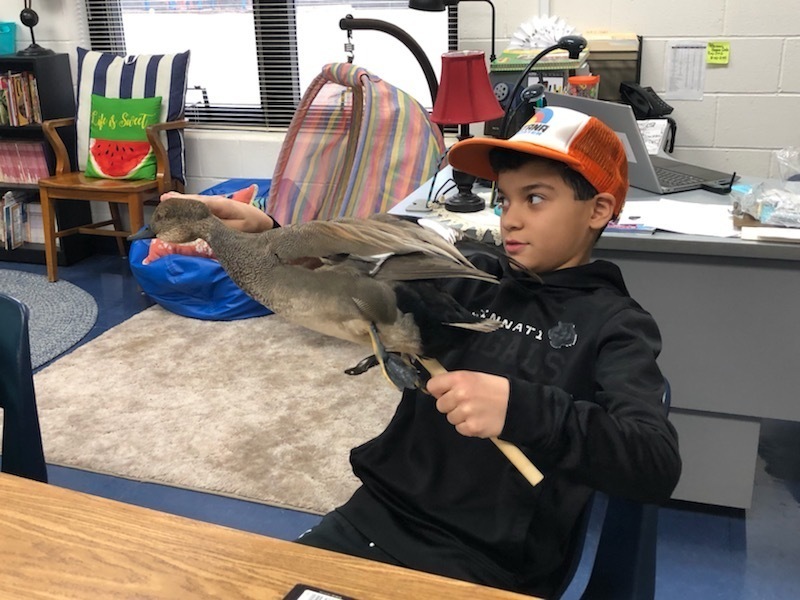 The class will be taking a field trip in April to visit the refuge. 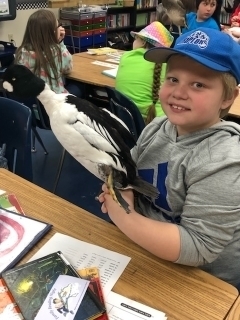 It is a field trip that is fully funded by the refuge. If you would like to visit the refuge go to https://www.fws.gov/refuge/two...for hours and address.